Meade's Focal Reducer/Field Flattener is a fully multi-coated, 3 element design to help the astro-photographer capture wide field photographs of the night sky with the Series 6000 APO's. This Flattener was designed to reduce the focal length of the Meade Series 6000 APO Refractors to expand the field of view with the camera being used. This new Flattener will also optically flatten the image by minimizing vignetting and by yielding pin-point stars to the edge of your photographic frame. 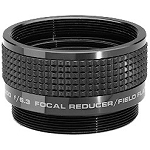 Meade's Focal Reducer/Field Flattener removes distortion within the field of view by correcting spherical aberration. 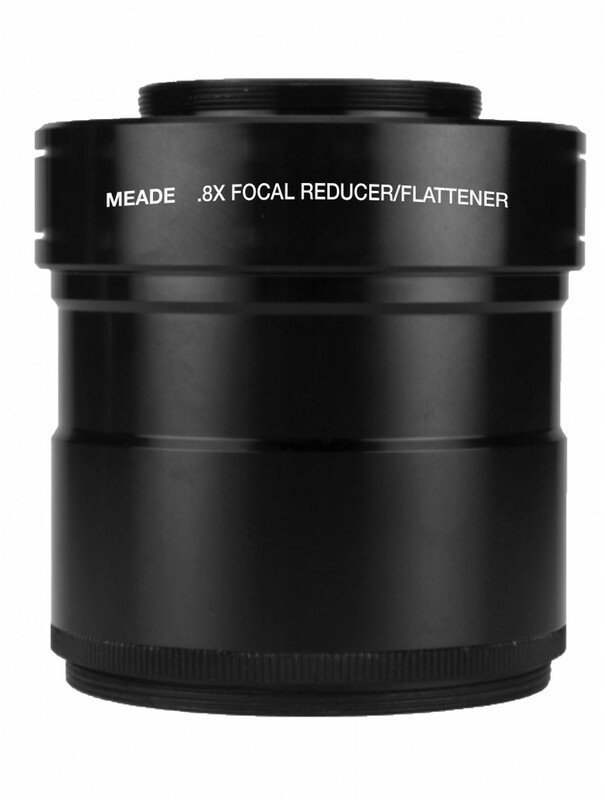 With most refractors, deep-sky objects are too difficult and large to fit within the field of view; however, Meade's Field Flattener solves this issue by reducing the focal length 0.8x, which allows your refractor telescope's field of view to increase. Easily attach to your camera with the included M48 x .75 OD-Thread. This Series 6000 3-Element 3" Field Flattener is to be used for the 115mm and 130mm APO Refractor Telescopes.